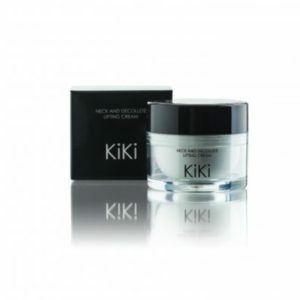 KiKi’s 2-In-1 Make-Up Remover and Toner is a gentle, micellar water that removes dirt and make-up off the face and eyes. This multi-functional product also effectively tones and balances the pH of the skin after cleansing. Suitable for all skin types, the amazing formula adds hydration and plumps the skin of the face, leaving it feeling clean and silky smooth. The Make-Up Remover and Toner is extremely gentle and easily removes that stubborn make-up on the eyes and lips, including mascara, waterproof eyeliner and lip stains. A blend of specialised plant actives not only cleans but also tones the skin and adds a healthy glow. The oil-free micellar water is suitable for all skin types. Apply a few drops to cotton wool. Gently wipe away dirt from face and eyes. No need to rinse. Use before cleansing to remove eye and lip make-up. Else use after cleansing to remove excess make-up and cleanser, and to tone the skin. Can be used morning and evening or as often as desired. The 2-In-1 Make-Up Remover and Toner is a water based product containing small micelles of coco-glucoside which lightly remove dirt, make-up and excess oil. An infusion of hyaluronic acid and cucumber extract help to plump the skin and leave it feeling unbelievably soft and moisturised. Lactic acid is an Alpha-Hydroxy-Acid which dissolves dead skin cells and has anti-ageing properties. Use before cleansing, after cleansing or instead of cleansing to see amazing results. • Coco-Glucoside-A mild surfactant which forms cleansing micelles in the product. • Cucumber Extract – Plumps, hydrates and prevents moisture loss. • Sodium Hyaluronate – Sodium hyaluronate is a smaller particle than hyaluronic acid. 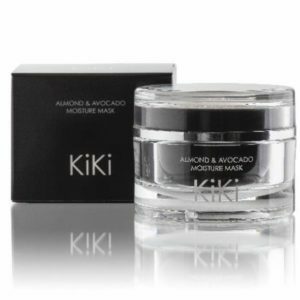 This allows it to penetrate into the skin and effectively bind to water to keep the skin moisturised. • Lactic Acid – An Alpha-Hydroxy-Acid which has anti-ageing and exfoliating properties. • Glycerin – Natural substance present in the body which conditions and softens the skin.